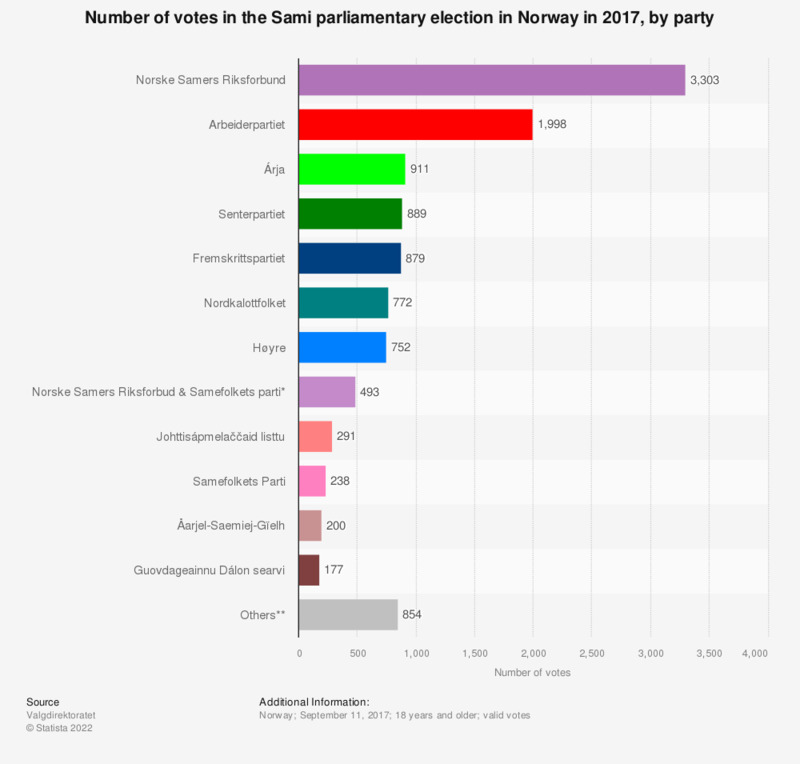 This statistic shows the number of votes in the Norwegian Sami parliamentary election on September 11, 2017, by party. Norske Samers Riksforbund was the party elected to Parliament with the highest number of votes (3,303). Arbeiderpartiet ranked second with 1,998 votes. Árja ranked third with 911 votes. The Norwegian Sami Parliament (Sametinget) elections are held every four years. The next parliamentary election is set for September 2021. ** Šiella, Samenes folkeforbund, Samedemokratene og Šiella, Sámieana, Fastboendes Liste på Sametinget, Jiehkkevárri, Sosialistisk Venstreparti.